Our client is a privately-held company headquartered in Calgary, AB with a manufacturing facility in Crossfield AB. 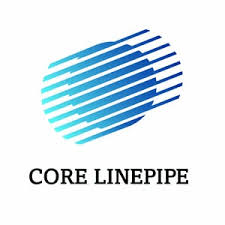 CORE Linepipe Inc. designs, manufactures and installs superior, versatile, corrosion-resistant linepipe technology. CORE’s IP-protected, industry-leading systems consist of factory pre-installed internal liners and coatings, steel linepipe and a unique mechanical joint. CORE’s rapid growth, profitability and success is attributed to its experienced executive team with a track record of success in the energy services industry, its dedicated and highly skilled employees, and their innovative suite of advanced linepipe products including Clickweld®, CORE Liner® and CORE Coat®. The culture of CORE Linepipe is built on living the values of Excellence, Flawless Execution, Teamwork and Innovation. Based in Calgary AB, the Chief Financial Officer (CFO) will report to the President & CEO and contribute to the senior executive team. While financial management and oversight is an important component of this role, the greater emphasis will be in providing strategic corporate and operational guidance toward achieving all elements of CORE’s growth strategy including strategic planning and the planning and execution around products/services roadmaps, geographic expansion, marketing & sales, manufacturing and installation operations, organization structure and human capital. Given the company’s investments and expansion within the US, experience and exposure within this market along with IFRS financial reporting will be essential. The ideal CFO will possess strong leadership qualities, values a collaborative team approach, is motivated by a rapid growth and fast-changing environment (rather than a maintenance environment) and routinely drives process and systems improvements. The candidate has seasoned knowledge of the oilfield manufacturing/services industry and has prior experience with build-out and change management in a related growth-oriented mid-size organization. As a key business partner within the senior executive team, assess organizational performance against the company’s annual budget and long-term business strategy. Participate in making key decisions pertaining to strategic initiatives, operating model and operational execution. Engage leaders around issues, trends, and changes in operating model(s) and operational delivery. Oversee long-term budgetary planning and cost management in alignment with the company’s strategic plan, particularly with respect to US expansion. With the finance team, prepare and maintain regular financial planning reports, monthly profit and loss forecasts, cash flow forecasts and other key financial reports. Complete analysis of financial results; develop recommendations (strategic and tactical). Develop and execute analysis of strategic business initiatives along with clear assessment of risk (e.g. IPO, capital investments, M&A). Develop and maintain the capital budget. Coordinate the development and monitoring of department budgets. Participate in corporate policy development as a member of the senior executive team. Assist CEO to represent the company to financial partners, including financial institutions, investors, auditors, etc. Remain up to date on audit best practices and provincial, state and federal law regarding for profit operations. Ensure timeliness, accuracy, and usefulness of financial and management reporting and oversee the preparation and communication of monthly, quarterly and annual financial statements. Serve as final point of escalation for Accounts Receivable/Accounts Payable/Payroll issues. Prepare various analyses, financial models and reports required by corporate development efforts. Bachelor’s Degree in Finance, Accounting or Business. 12+ years’ experience in progressive finance/accounting positions, including 5+ years at a senior leadership level having demonstrated operational, financial and strategic management level accountabilities. Intimate knowledge of the oilfield manufacturing/services industry and prior experience with the build-out and change management in a related growth-oriented mid-size organization. Corporate governance / corporate secretary experience. Contracting, negotiating, and change management. Strong financial modelling background (MS Excel, ERP etc.). Superior strategic, organizational, analytical and abstract reasoning skills. Ability to be articulate in a concise, compelling and diplomatic manner. Prefers a truly collaborative work culture. Ability to build consensus, rally support around common goals and motivate teams and individuals. Proven negotiation and mediation skills with the ability to overcome obstacles to cooperation and to foster harmonious relations. Comfortable working with a Board of Directors and shareholders. Outstanding business and financial acumen. Performance driven … but humble. Highest level of integrity, honesty and accountability. Ability to travel and work irregular hours as required. A competitive compensation package including benefits will be provided commensurate with experience. Equity and option participation will be considered. REFERENCE – Chief Financial Officer (CFO), CORE Linepipe Inc.